Phil Borge-Slavnich, director at Eulogy, has been promoted to managing director. He takes over from Elisabeth Field, who was promoted to chief executive earlier this year as part of a reorganisation that saw agency founder Adrian Brady become chairman to focus on growing the business. Borge-Slavnich has been involved with the consumer, b2b and corporate PR specialist agency for most of his career. 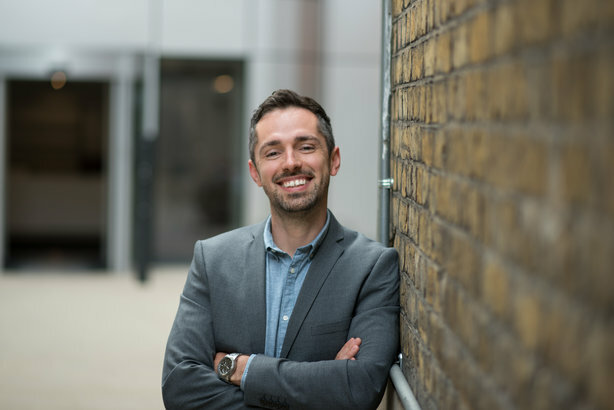 He joined in March 2002 and worked at Eulogy for almost a decade until leaving in January 2012 to take up the role of marketing director at social agency 1000heads. Ten months later he moved to Threepipe, where he was B2B director, and stayed there until November 2014 - when he was lured back to Eulogy as director of its B2B team. Since rejoining Eulogy four years ago, Borge-Slavnich has helped win clients such as Drayson Technologies, Foundry, First Central Group and Exterion Media. In his new role, he will have general responsibility for the day-to-day operation of the business, which was founded more than two decades ago, including client, creative and commercial accountability. Borge-Slavnich said: "I’ve quite literally grown up at Eulogy, and from very early on I realised that it’s that rare type of agency where, if you give it your all, you get more back than simply a salary. But the best part for me, as it has always been, is the excitement of working with such an amazing team of people who, on a daily basis, astound me with their collective brilliance." Brady said: "For me, this is a poignant promotion. I’ve had the pleasure of knowing Phil for more than 16 years, and to see him grow from a cheeky yet charming account executive to the confident, smart leader he is today has been an absolute joy." Field, who was managing director until March this year, said: "Phil is the embodiment of all that we value at Eulogy: exceptional client service; a determination to succeed; and someone who is a passionate people person." She added: "Our growth and success over the past few years is in no small part due to his commitment to pushing boundaries and striving for excellence – whether that’s in the campaigns we create or the brilliant people we recruit. He’s also a fantastic laugh, meaning I spend most of my day with a massive grin on my face."